Some of the most riveting Scandinavian crime fiction torments its characters with the disorienting effects of an isolated, threatening landscape. Crimeculture highly recommends four of the best recent Nordic noir novels (translated into English 2014-16), each of which enthrals readers with the peculiar power of such a setting: Agnes Ravatn’s The Bird Tribunal, Ragnar Jonasson’s Snowblind, Yrsa Sigurdardottir’s Why Did You Lie? and Antti Tuomainen’s Dark as My Heart. Other countries can, of course, provide crime writers with similarly inhospitable terrain – environments so remote and hostile that they inflict their own kind of psychological damage. Crimeculture has recently, for example, reviewed Jane Harper’s The Dry, a powerful novel in which human greed and hatred play out amidst the devastating effects of a drought that is destroying an entire Australian community. In the UK, Graeme Macrae Burnet’s literary thriller, His Bloody Project, brilliantly represents a brutally controlled crofting community in the nineteenth-century Scottish Highlands, a place so cut off that escape seems impossible. Scandinavian crime writers, however, have proven themselves exceptionally adept at fictionally exploiting the rich resources of their native landscapes. A few years ago, a piece in The Economist (Sept 2012) ascribed the success of the Nordic crime-writing boom in part to the novelty of the locations, to writers’ ability to provide “a sense of place—the more distinctive and unusual the better.” But in truth the strength of Scandinavian locations is less to do with novelty than with sheer evocative power – with the pressure of the elements and the extremities of experience endured in places far removed from conventional society. The novels reviewed here – from Norway, Iceland and Finland – give us harrowing dramas enacted in darkly mysterious forests and secluded estates overlooking spectacular fjords, on rocky stacks in a raging sea, or on the sea’s edge in a fishing village made inaccessible by blizzards, mountains and avalanches. In all four novels, the drama is intensified by the claustrophobic sense of entrapment somewhere so isolated that the conditions of ordinary life no longer apply. But salvation is no simple matter, and Ravatn’s taut, haunting prose generates a mounting sense of dread. She draws together several strands of myth and gothic archetype, with hints of Bluebeard and Rebecca. But most of all, emanating from the landscape itself, there are the themes and emotions of Norse mythology – salvation and transformation, death, guilt and retribution. The fjord and forest are beautiful but increasingly charged with sinister meanings. As Allis walks into the “silent forest of roots and pinecones”, she feels almost entirely separated from the outside world: “living here was like ceasing to exist,” except in an increasingly menacing world of shared stories. Bagge recounts his dream of an ominous bird tribunal convening in the depths of the forest, a vision of twelve judges in bird masks sitting in silence and condemning him, charging him with “skemdarvig”, a crime so vile that no atonement is possible. Allis in turn tells him the story of Balder and Loki, of violence, revenge and the potential for evil: “Old guilt… destroyed by fire and swallowed by the sea,” a dragon that “sweeps through the air…with human corpses nestled among its feathers”. Who are Bagge and Allis in this mythic world? Our sense of foreboding grows as the story is ever more strongly infused by the threatening, hallucinatory imagery of the ancient Eddas. 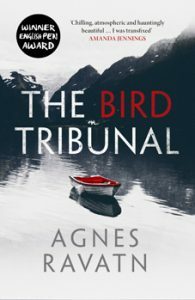 The Bird Tribunal is a fascinating novel that lingers in readers’ minds long after they have finished reading. 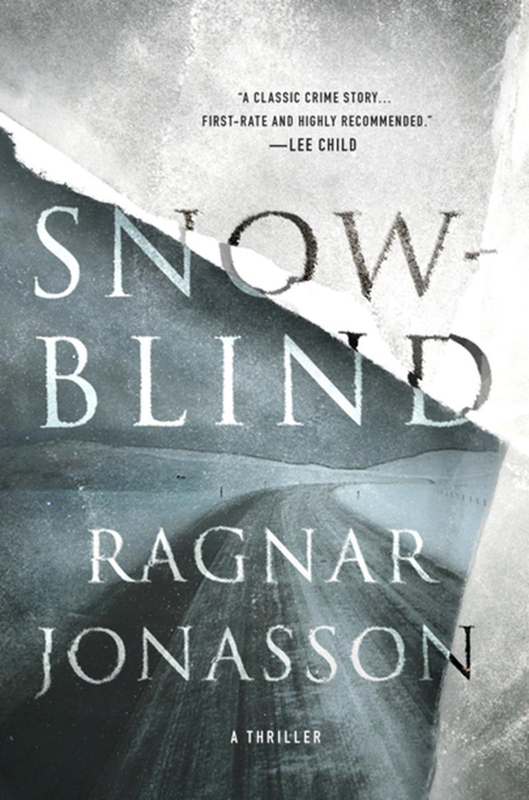 The five novels of Ragnar Jonasson’s Dark Iceland series, which debuted in Iceland in 2010, have received much deserved critical acclaim since the first English translations began to appear: Snowblind and Nightblind in 2015, Blackout, Rupture and Whiteout in 2016-17. A translator of Agatha Christie, Jonasson is skilled in the construction of an absorbing mystery story. Snowblind, like the later novels in the Dark Iceland series, is an exceptionally well-crafted piece of classic detective fiction, with the enclosed space of Siglufjördur providing a circumscribed cast of characters, harbouring secrets and concealing hidden connections that must be uncovered if the mystery is to be solved. What most distinguishes Jonasson’s series, however, is an environment that throughout the novel applies its own frightening and unpredictable pressures. 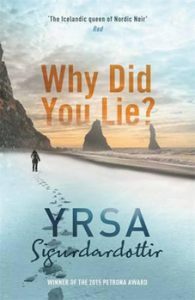 Yrsa Sigurdardottir’s Why Did You Lie? In the novels of Yrsa Sigurdardottir, the perils of desolate landscapes are both natural and supernatural. Crimeculture’s review article, “Listening to the Ghosts”, discussed Sigurdardottir’s I Remember You, with its evocation of supernatural terrors in a near-deserted village in the Westfjords. In the equally brilliant Why Did You Lie? (published in Iceland 2013; trans 2016), isolated settings are again used to unsettle characters’ sense of reality, to make them fear they are facing dangers beyond their comprehension. Antti Tuomainen is a poet as well as a novelist, and in Dark As My Heart, his second novel to be translated into English (published in Finland 2013; trans 2015), the main part of the narrative takes place in a vividly realized coastal setting. Aleksi Kivi has spent two decades trying to find out what happened to his mother, who disappeared when he was thirteen. 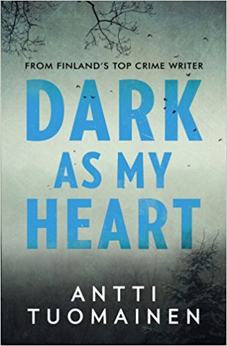 Believing the millionaire Henrik Saarinen to be guilty, he leaves the city for Saarinen’s rural estate – committing himself to the dangerous and formidable task of unmasking a murderer. The place itself embodies both the capacity of power to imprison and Aleksi’s inner sense that he has been held captive by a fixed idea – in Saarinen’s words, it is “As if in the middle of this beautiful place on this bright day there’s a dark cloud over you and a dark, bottomless vacuum beneath you…” Like Agnes Ravatn’s The Bird Tribunal, Dark As My Heart gives us a small cast of characters enacting a grim, wholly engrossing drama in the claustrophobic isolation of a world that intensifies the internal sense of a prison “between your ears”. Tuomainen’s lyrical, evocative prose creates a stunningly effective story of desire, obsession and revenge.